Your chance to visit super stallions at Dalham Hall! Discover Newmarket has an exclusive opportunity to visit Godolphin’s International Headquarters, Dalham Hall Stud for one day only. 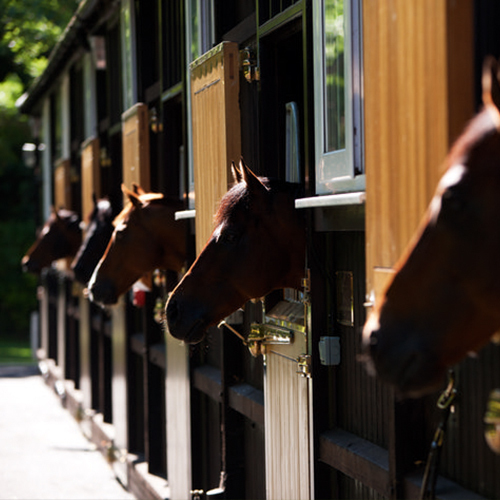 Visit this prestigious stud to view the facilities and champion stallions including Dubawi and New Approach. Not to mention the outstanding Derby and Arc winner, rated the best in the world on turf in 2015, Golden Horn. This exclusive tour taking place on Friday 26th May, will give you access to one of the finest studs you will ever see, owned by His Highness Sheikh Mohammed bin Rashid Al Maktoum, Ruler of Dubai and the breeding operation to the internationally renowned Godolphin Racing. Following your tour, you will be taken to the 2AA rosette restaurant at the Bedford Lodge Hotel to enjoy an arrival drink and two-course lunch. Places on this Tour are limited and cost £95 per person. Rewards4Racing points can be used as full or part-payment.